We read about many stories or hear stories of people and their romantic love life. At times, we even see them in them movies and many of us go “Awwwwwwww! I wish I could have that!” Knowing it is not real but the way it is displayed we become infatuated with this unrealistic display of love. Many of us don’t know that, there has been a time more than 1400 years ago, way before you and I were born there was a man by the name Muhammad (Peace & Blessings Be Upon Him). Many anti-Islamic, Islamophobes display him as several things he wasn’t. They love to depict him in a disrespectful, untruthful manner. What many of us don’t know is how did the Prophet Muhammad (Peace & Blessings Be Upon Him) display his love for his wives? Many of us are married and have been married for a very long time. Many of us are looking to get married and are clueless about the hadiths, stories of how the Messenger Of Allah was romantic. 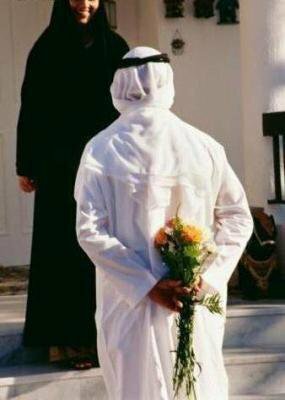 It is as if, it is taboo for a man to act or display romance or love the way the Messenger Of Allah did. This exterior as if being hard and not too soft is laughed at or looked down upon but little do they know, they are missing out on a Sunnah, an act which the Prophet Muhammad (Peace & Blessings Be Upon Him) did, which we will be rewarded for. I’d like to relate a few hadiths, stories I’ve gathered on how the Prophet Muhammad (Peace & Blessings Be Upon Him) displayed his love to one of his wives Aisha (may Allah be pleased with her). Once the Prophet Muhammad (Peace & Blessings Be Upon Him) was sitting in a room with Aisha (May Allah be pleased with her) and fixing his shoes. It was very warm, and Aisha looked to his blessed forehead and noticed that there were beads of sweat on it. She became overwhelmed by the majesty of that sight and was staring at him long enough for him to notice. Aisha (May Allah Be Pleased With Her) would often seek reassurance from The Prophet (Peace & Blessings Be Upon Him) that he loved her. “How is your love for me?” she once asked. “Like the rope’s knot,” he replied, meaning that it was strong and secure. So why are we ashamed or why do we prevent ourselves from expressing in a manner that has been displayed by who we are supposed to follow? This should encourage us, make us open minded and display our love to our spouses this way. Eat with them, race with them and speak to them gently. Words of sweetness and love. Being rough, speaking to your spouses in a disrespectful manner, being harsh, neglecting them is not the treatment the Prophet Muhammad (Peace Be Upon Him) has showed us. This is who we are supposed to follow. Islam is beautiful as it shows all aspects on how to be. There are things you do which you will be rewarded for. Display your love to your spouse. Be creative. Be romantic. Be sweet. Be loving and most important of all, do it because it is what it taught in Islam. This is both for the husband and the wife. This isn’t directed to the man but women, you can do it too, don’t expect your husband to do it all the time. Now you know how the Messenger of Allah displayed his love and was romantic with Aisha (may Allah be pleased with her), you can too. Insha’Allah. This entry was posted in Marriage & Relationships and tagged Food For Thought, Islam, Love, Loving, Marriage, Muslim, Nikah, Nikkah, Romance, Sunnah, Sweet. Bookmark the permalink. These hadith honestly made me smile! Jazakh Allah Khair to you for providing a new light for many on this topic. So many people think Islam is a strict and restricting religion, especially when it comes to love. You’ve helped prove it wrong! Wayak, Nawwreen. Alhumdulilah. So many people look to misrepresent Islam but there is so much about Islam, about the Prophets that many don’t know. I thought I’d cover a subject which shows the Prophet Muhammad (Peace & Blessings Be Upon Him) soft side towards his wife, Aisha (may Allah be pleased with her). Im glad it made you smile… this what my blog is about. Positivity and helping others smile, be open minded and feel better, insha’Allah. I think the hardest part of doing so is for the ones that want to believe and cannot. I’m grateful for my imaan most definitely, but more so because I have the drive to look for answers and for the beauty in it. I see the lack of such beauty and love in Islam from the perceptions of Muslim brothers and sisters we are surrounded by everyday. If only everybody could subscribe to your blog and read this haha. Great job with your blog, mash’Allah. The perception comes from ignorance. I was once ignorant and Im sure you were too. Im still ignorant in a lot of subjects, even outside of Islam, you know? We just have to strive to look for the correct things and you’ll be illuminated to what is correct. You are more than welcome to share my blog and my writings to whomever you like. I appreciate you reading my blog and being able to let me know how you feel. It’s great! I love interacting with the readers. lol I know exactly what you mean. There’s always room to grow but our job is to try to be the best that we can be in the eyes of Allah SWT despite the mistakes we’ve made and make constantly. I can’t write the way you do for the public eye! I’m sure finding out what it’s like from the other end is great as it is for me, the reader to interact with the writer. Oh yeah, everyday we must try our best. If we don’t, then we are missing out. Not just on life but everything! Consistency is the key. Of course you can. Why can’t you? Just overcome whatever it is you fear and just write. Whether people accept it, enjoy it or not, you are writing because you love it, then everything else comes. Consistency and commitment, that’s what my next post is going to be about haha. Well you’re absolutely correct but It’s not that I fear anything. I’m just a more creative writer and I’m not eloquent with my words in the sense that I can pinpoint the thoughts down to words so easily. It only happens on paper. Even if I can write, I can only write about things that have triggered emotions. If you wrote about something really personal, could you be just as eloquently as you do when you blog about the various things in Islamic perspectives? 90% of the things I’ve posted on here have been from a personal perspective but I write it in lesson form. Not venting, being aggressive or complaining. Just teaching a lesson from lessons I’ve learned but I never write I,I,I,I, or me, me, me, me. Writing in your head in the shower is most definitely not weird! I dance in my shower with very little space lol But I write in my head whenever, mostly when I’m about to fall asleep for some odd reason, and then I forget what it was that I thought of. Is writing just a hobby for you? That’s where most of my thoughts are created lol… Hearing the water fall, just standing there, thinking away. It’s interesting. Allah swt knows lol. That’s the best answer I can think of to your rhetorical statement. Hardy har har. lol It’s a hobby but I meant to ask if you do it on a professional level as well as oppose to is it JUST a hobby. For now, it’s just a hobby. 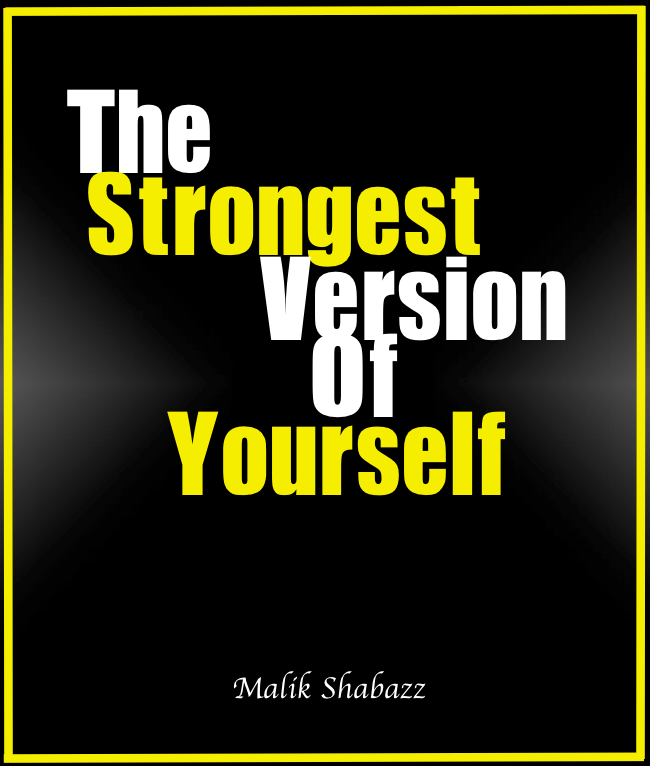 Insha’Allah, one day, I do plan on writing a book if I can. Become a public speaker. Branch out of my writings and do something with it, instead of people jsut reading it. They can hear me speak. That would be awesome…. Insha’Allah, you’ll do well, don’t even sweat it. Just be you and don’t front.. Ambitious dreams. That would be very awesome. Hopefully you can speak as well as you can write! Insha’Allah. I’m ain’t frontin so Thank you. Really, it means a lot! lol thanks to the edit button you can edit your last comment because you replied to the wrong reader! Be glad I’ve subscribed because you might’ve never known! Insha’Allah one day. Everything just takes time and effort. Public speaking used to be tough for me. I just used to stand in class and laugh for like 5 mins before I could actually speak. Good, don’t be frontin. Makes nothing worth while. You are welcome, trust me, anything is possible. These were such such beautiful examples…filled my heart with more and more Love for My Muhammad(S.A.W) ! Lovely….Thanks so much for gathering these examples for us here. JazakAllah ! Just beautiful. How romantic, mashaAllah. MashaAllah. I was teary-eyed reading this post on our ultimate role model. Indeed he is the best example to follow. Thank you for sharing this amazing story of RasulAllah (PBUH). MashaAllah! May Allah bless us with a righteous partner inshaAllah. The wonderful example about LOVE from our Prophet Muhammad (PBUH). Thank you for sharing it, Brother! May Allah gives us strength to follow him. Ameen.